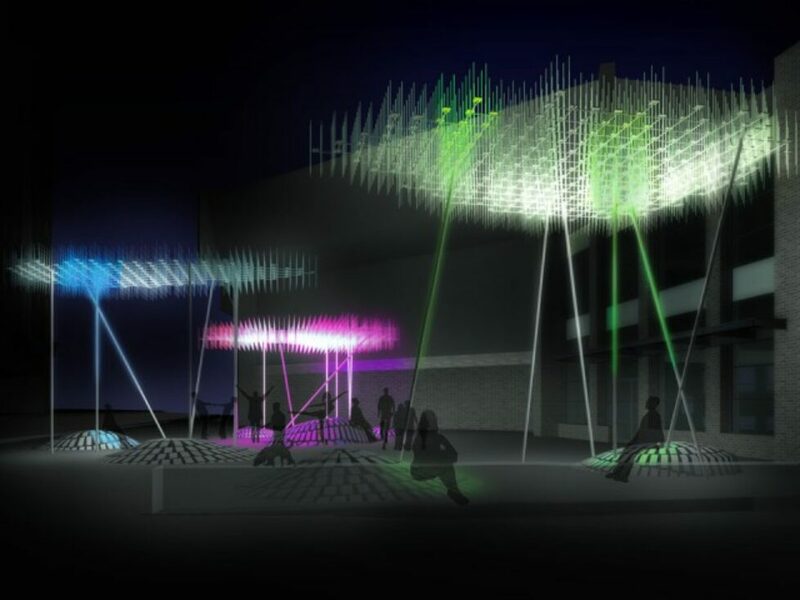 An electronic “cloud” canopy formed of an array of LED’s and speakers are triggered by passerbys and weather patterns heightening otherwise invisible relationships between publics and their environments. As groups begin to gather, the interactive electronics intensify, promoting impromptu performances and conversations. Urban landscape mounds form lounging areas as well as define new paths. A simple weather station inputs data to the canopy and allows it to interactively extend the experience of the weather by mixing visual and auditory information with the people’s use patterns (left). Direct and indirect paths are defined by the canopy (right). Light and sound augment the experience of wind (left). 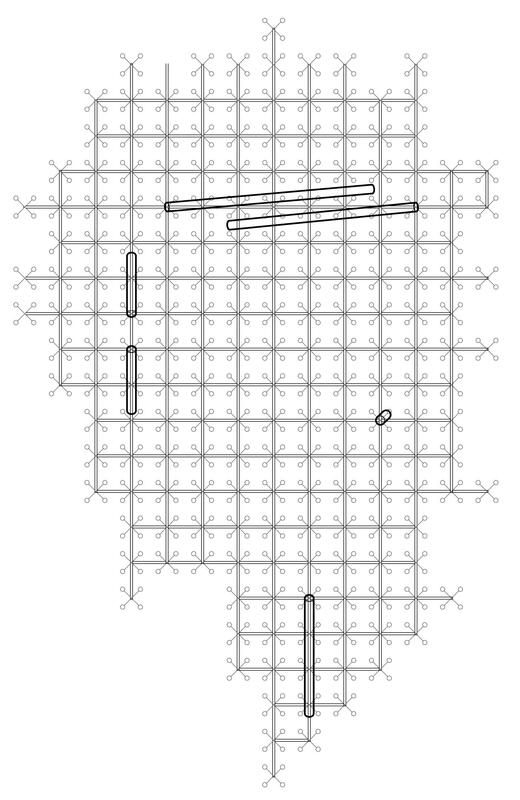 The plan of the canopy (right) depicts how irregular edges can be created out of the LED grid (right). During hot days, cool lighting and sound are emitted (left). An undulating landscape allows users to create their own interpretations of how the plaza space can be used (right). Even when the electronics are off, a moire effect created by the canopy components gives the appearance that the cloud canopy is shifting and transforming as one moves around the plaza (left). A detail of the canopy light rods shows the simplicity of the structure (right).